Color & Vitality shampoo (for treated hair with anti-age effect). Grape seed – powerful anti-oxidant. Rosehip – strengthens and renews treated hair. One of the most powerful anti-aging oils. Communication is KEY to helping us give you the best experience. Color & Vitality conditioner (for treated hair with anti-age effect). Jojoba – naturally containing wax that embraces the hair and protects it. Olive Oil – rich in anti-oxidants and vitamins. Revives the hair and makes its shinier and stronger. ARGANColour Hair Conditioner for Colour Treated Hair 1000ml. " Argan Oil Has a Number of Benefits When Used on Hair. ThisArgan Repair Conditioner Provides Colour Treated Hair with Long-lasting Shine and Vitality. 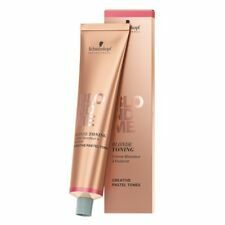 Slika Quick Silver Anti-Yellowing Crème Conditioner 250ml A treatment conditioner to correct yellow tones and keep colour fresh and bright. Smooths the hair cuticle, improves comb through, condition and sheen. 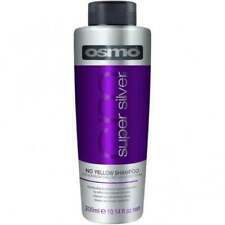 For best results use after the Quick Silver Shampoo. Indulge in the sensorial colour radiance protecting Vitamino Color AO-X shampoo that leaves coloured hair feeling instantly soft. Enriched in an anti-oxidant complex and UV filters. Your colour of choice looks more vibrantly shiny. 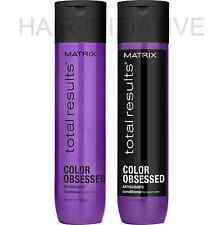 5 x 150ml COLOR RESIST BLOND BOOSTER. Neutralises Purple Colourants. New and Boxed. Spray on towel dried hair. Do not rinse. ARGANColour Hair Mask for Colour Treated Hair 1000ml. " Argan Oil Has a Number of Benefits When Used on Hair. ThisArgan Repair Mask Intensively Nourishes the Hair Fiber for Long-lasting Protection of Colour Treated Hair. 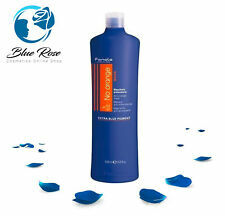 & John Frieda SHEER BLONDE Colour Renew Conditioner 250ml. full size products. PROVOKE - Professional Hair Care. TOUCH OF SILVER COLOUR CARE CONDITIONER 200ml. for BLONDE, WHITE OR PLATINUM HAIR. Professionally designed for Blonde,Platinum or White hair. Size approx 250ml. Lee Stafford Hair Conditioner. High quality conditioner. 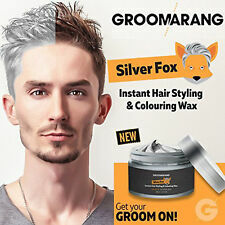 Join the latest trend and get the Clooney silver shine with the Groomarang Silver Fox Hair Colouring Wax. Want a change?. Want to look like a silver fox again?. Apply it, and your desires will be fulfilled in seconds. Sunflower extract provides intense UV protection, while conditioning agents and extracts hydrate and add shine. Clour Protect Daily Shampoo. Paul Mitchell. WHAT IT DOES. ADDED BONUS. New, unopened and genuine. Wella Professionals Invigo Colour Brilliance Protection Shampoo Fine to Normal Hair 250ml. With Anti Oxidant Shield Technology. 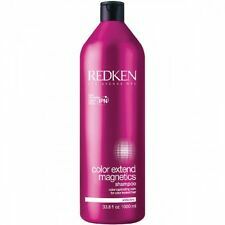 Gives an excellent hair feel and vibrant hair shine. For coloured fine to normal hair. 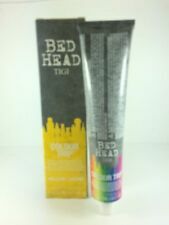 Paul Mitchell Colour Protect Daily Shampoo 300ml. Two Bottles (2 x 300ML). Paul Mitchell Colour Protect Daily Shampoo is the perfect way to protect your colour treated hair! Paul Mitchell Colour Protect Daily Shampoo contains sunscreens and panthenol, which add strength, elasticity and body to your hair, whilst intensifying shine and extending the life and providing protection to your colour-treated hair.